The workshop “Between Tower and River”, that will run from Monday 5 to Thursday 8 November 2018, continues the long-time collaboration between Kent State University Florence, College of Architecture & Environmental Design and DIDA, Dipartimento di Architettura dell’Università degli Studi di Firenze. The workshop will be led by professor Fabrizio Arrigoni from the Dipartimento di Architettura dell’Università degli Studi di Firenze and professor Paola Giaconia from Kent State University Florence CAED, and will be tutored by Antonio Acocella and Milena Blagojevic. 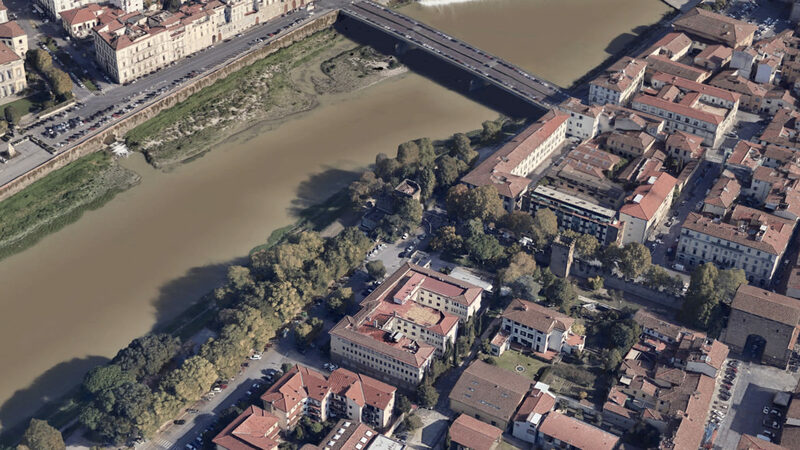 12 students enrolled at KSUF CAED and 8 students enrolled at UniFi will work side by side to design a new community center next to the Torrino di Santa Rosa as well as the open spaces between the bank of the river Arno and the road.